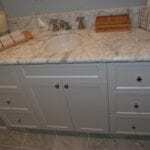 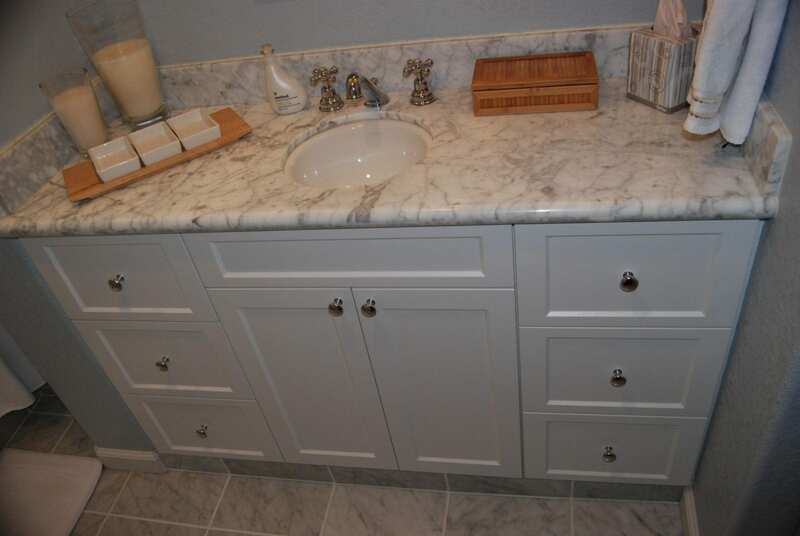 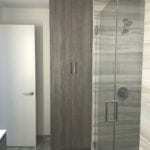 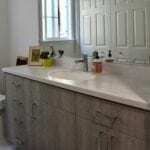 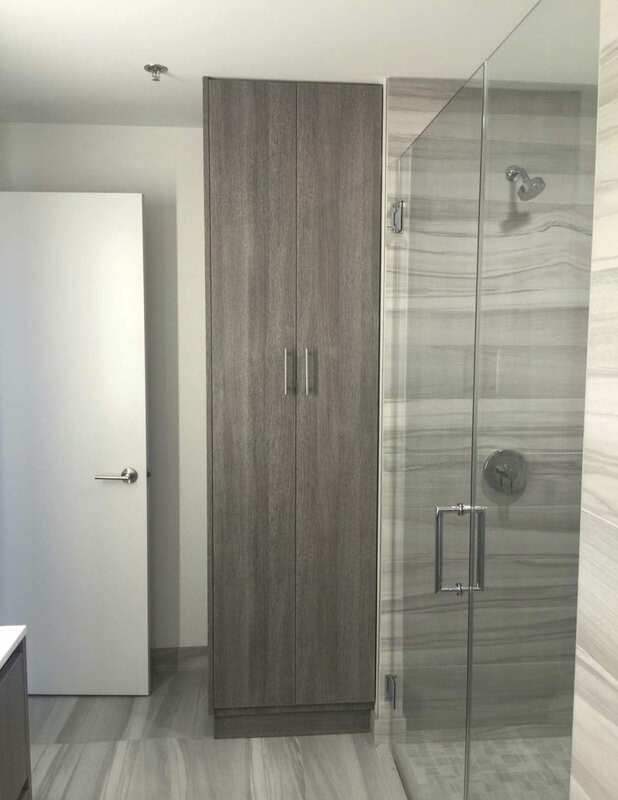 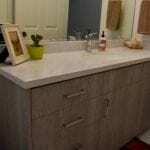 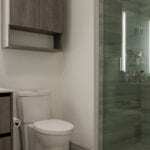 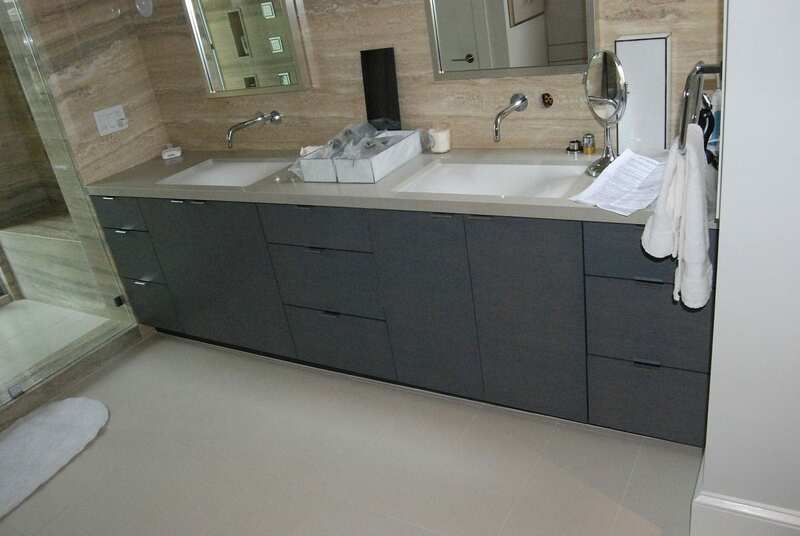 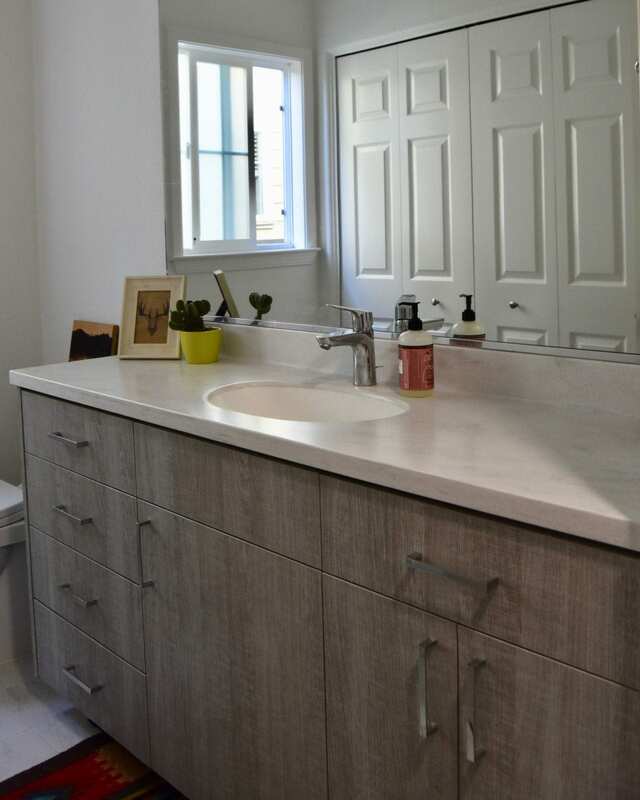 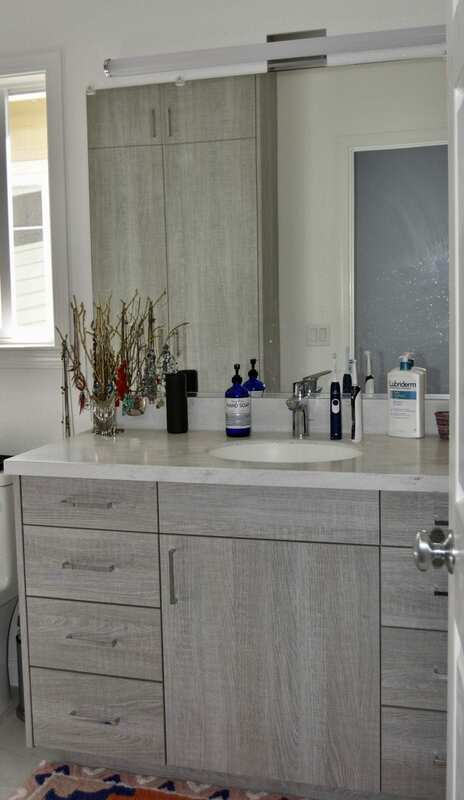 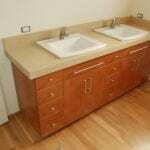 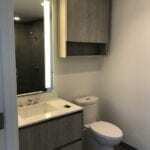 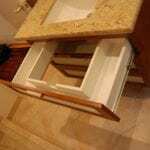 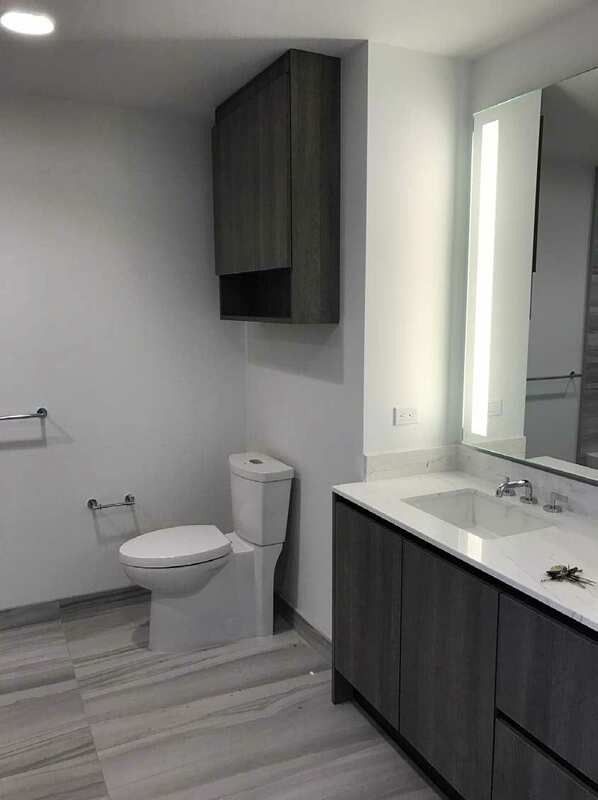 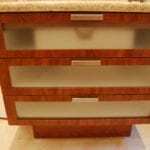 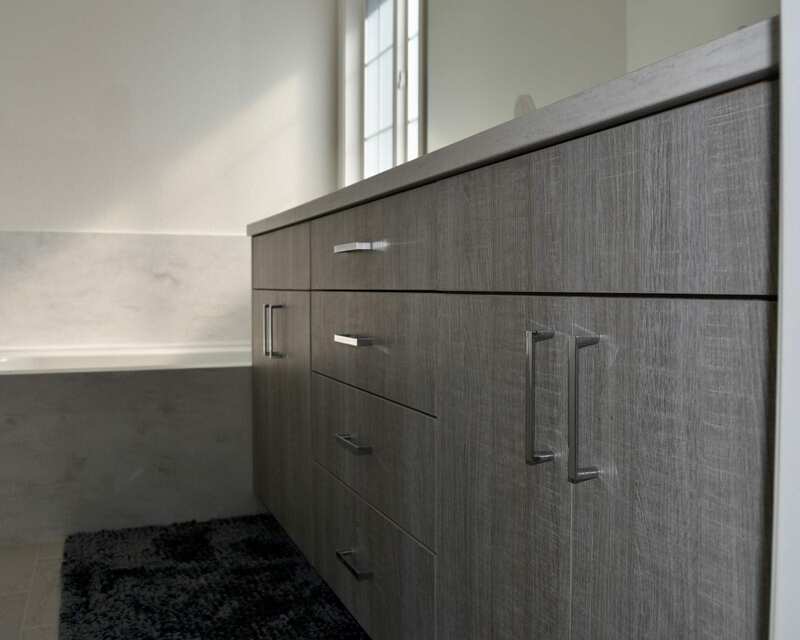 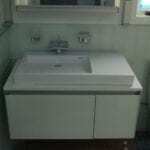 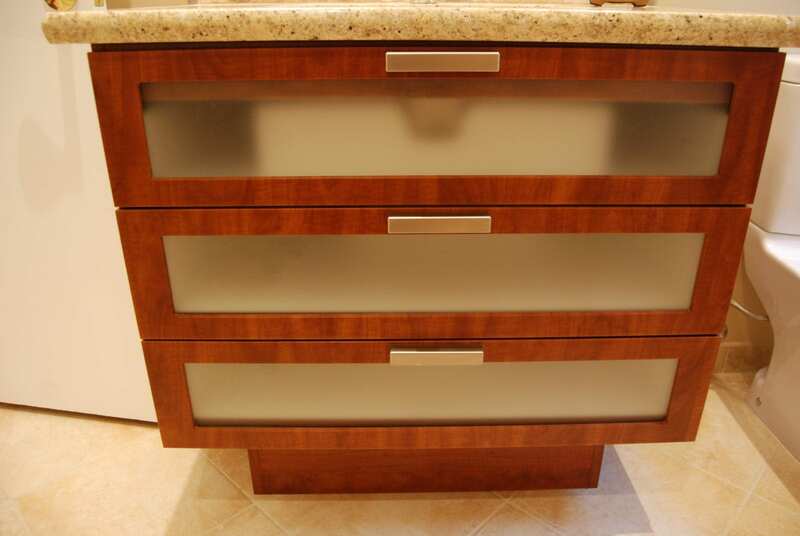 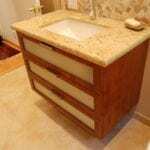 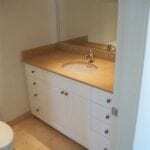 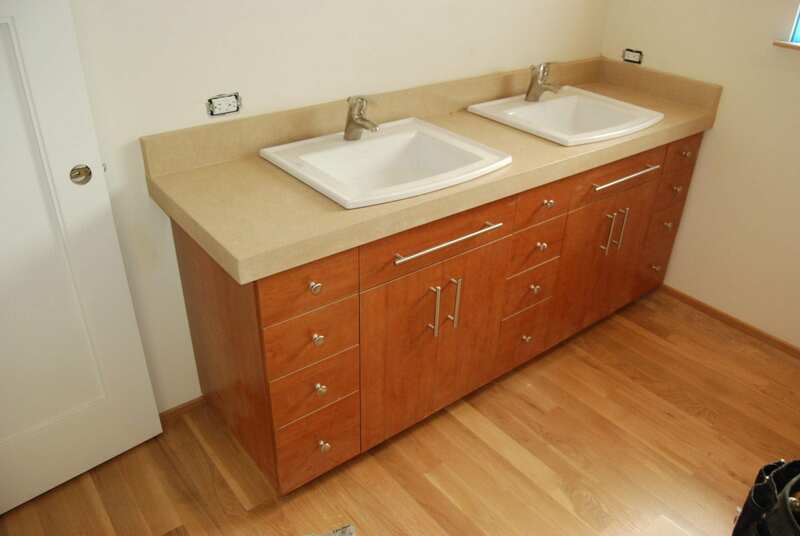 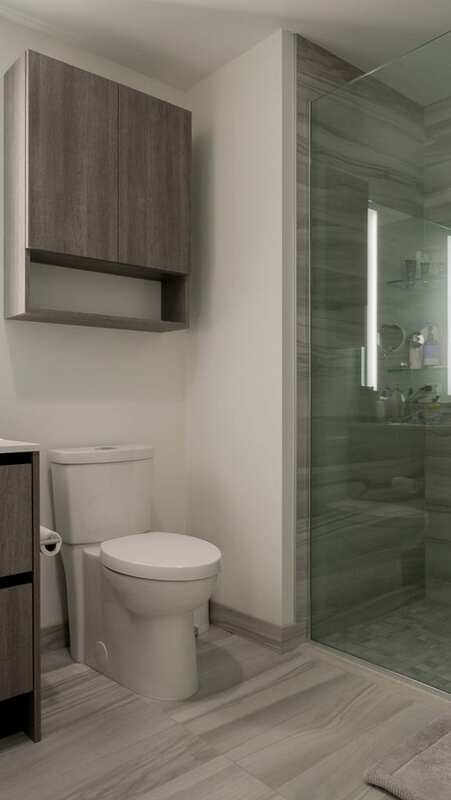 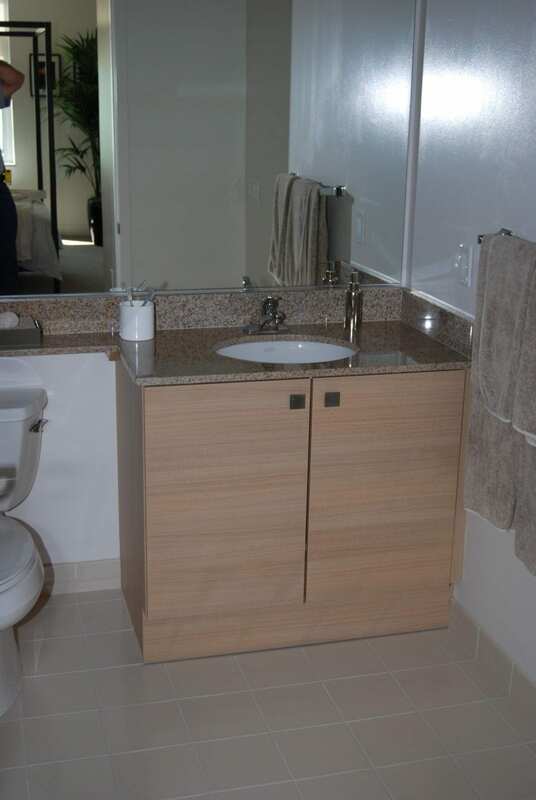 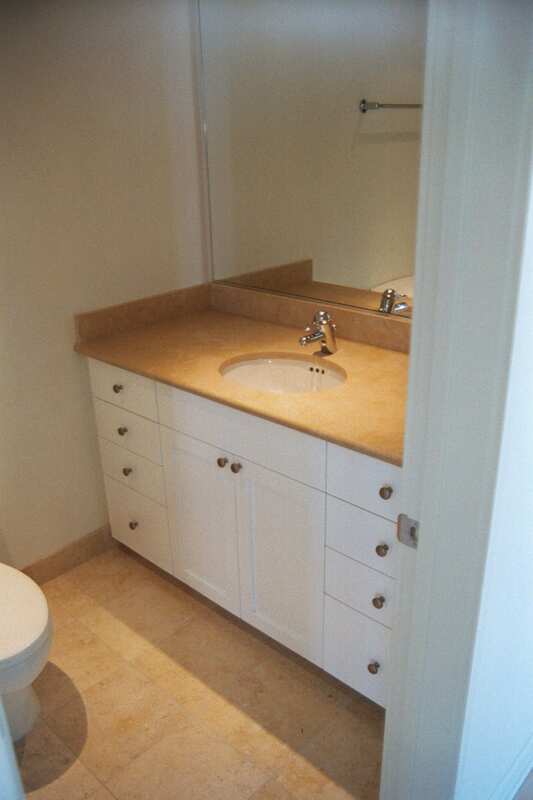 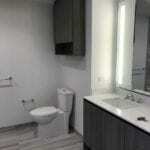 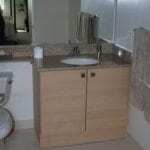 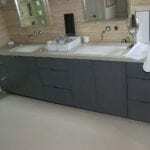 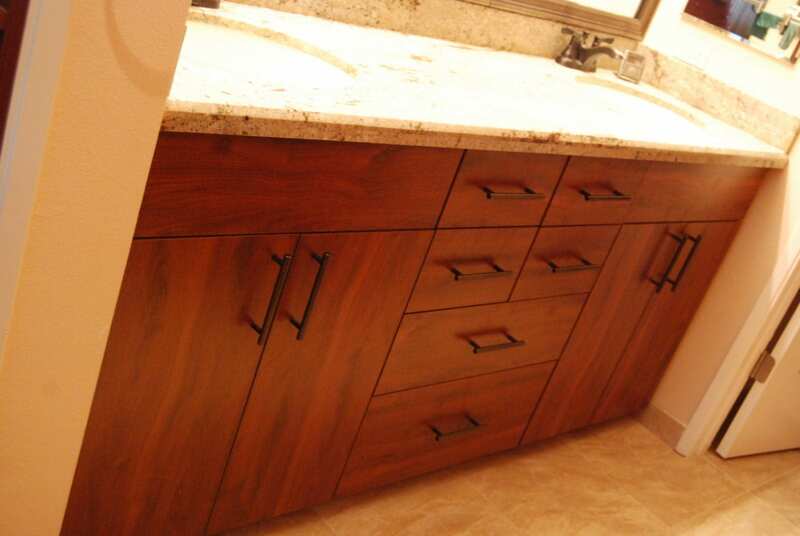 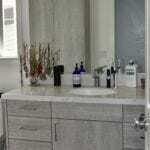 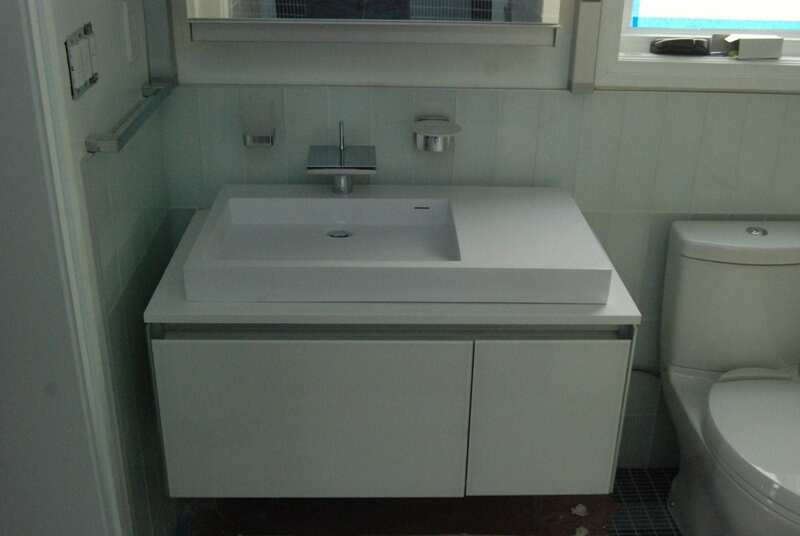 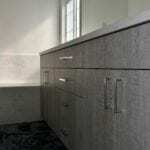 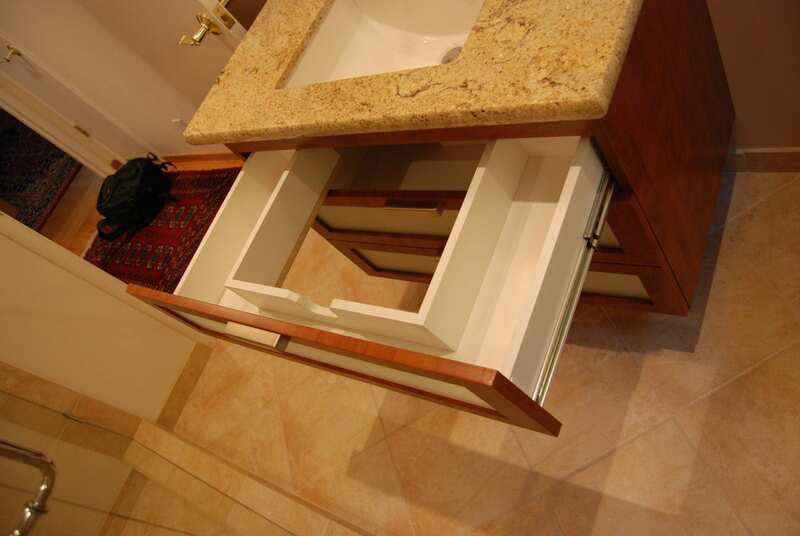 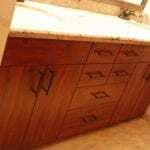 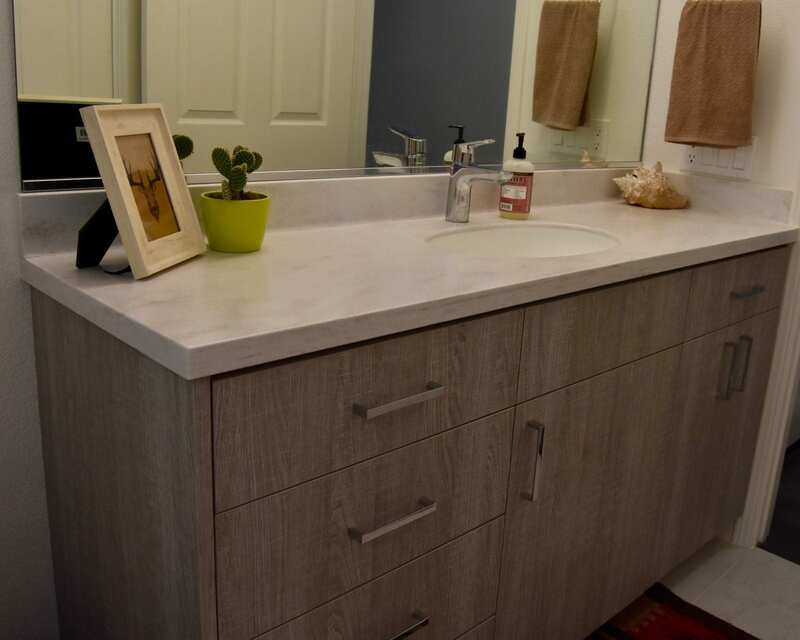 A custom wood grain vanity can make a bathroom stand out and bring warmth to the room. 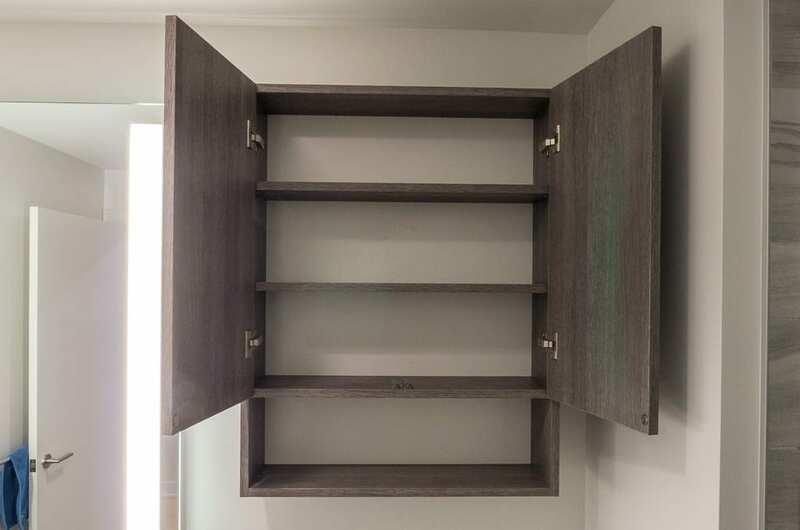 With drawer and cabinet door options, all your essentials will be organized, and you will be saving space at the same time. 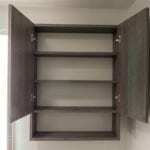 Keep everything right where you want it when you have our space organization solutions created just for you! 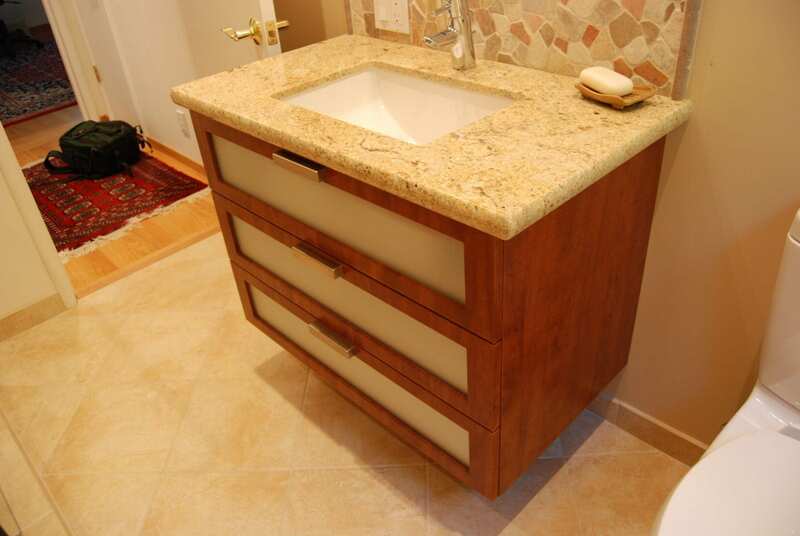 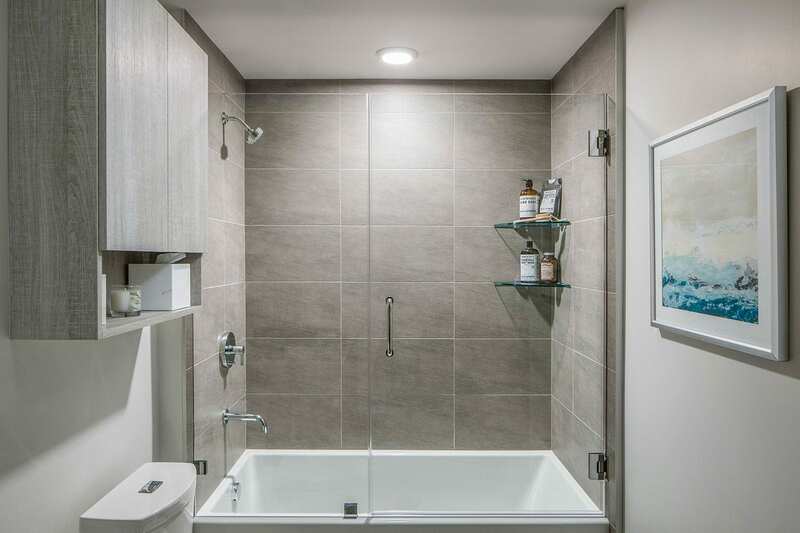 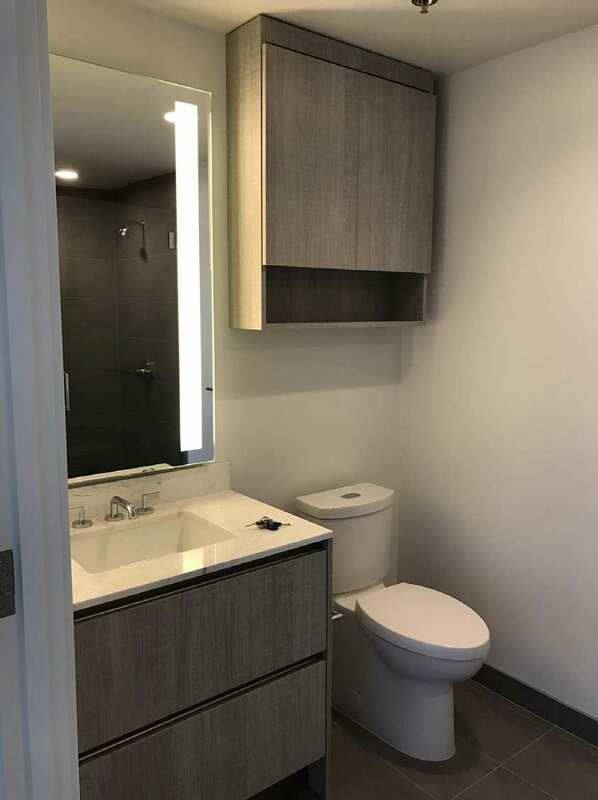 Call California Space Organizers (415.454.7477) and we’ll tackle your Bay Area bathroom and get it completely organized!